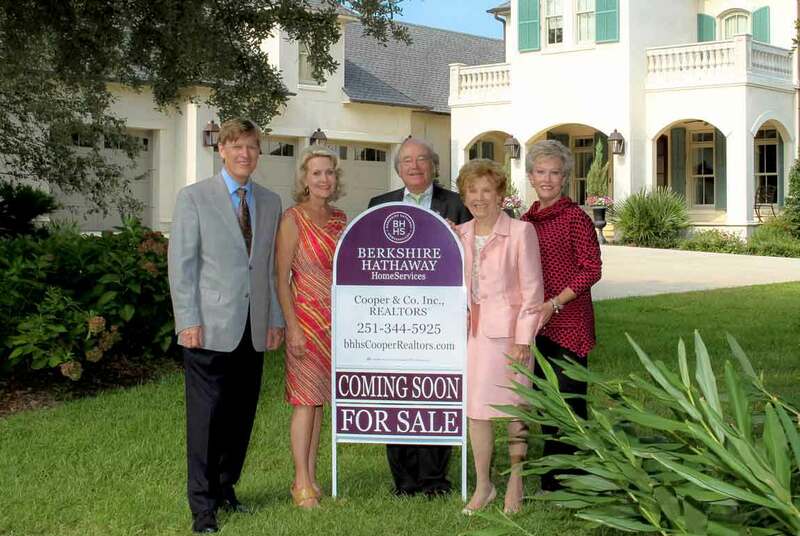 Berkshire Hathaway HomeServices Cooper & Co. Inc., REALTORS® traces its roots back to 1970 when it began with one office in the Mobile area and has since grown into a full service organization with seven offices serving both Mobile & Baldwin Counties. Owners, Jack and Pat Cooper, aligned the company with the Prudential Real Estate Network back in 1993 and in September 2014 joined the Berkshire Hathaway HomeServices real estate brokerage. We still remain Mobile's Largest, Locally-Owned Real Estate Company. Berkshire Hathaway HomeServices Cooper & Co. Inc., REALTORS® is firmly established as a recognized leader in the field of real estate. We are members of the Mobile Area Association of Realtors, Baldwin County Association of Realtors, Gulf Coast Multiple Listing Service, Mobile & Baldwin County Chamber of Commerce, Mobile Home Builders Association, The Alabama Association of Realtors, The National Association of Realtors and multiple professional organizations. Whether you are interested in buying or selling a home, seeking resort, vacation or retirement properties, developing a commercial park or residential subdivision, or investing in timberlands, our expert associates can help you make the right decisions. With six offices in Mobile County and one in Baldwin County, Berkshire Hathaway HomeServices Cooper & Co. Inc., REALTORS® offers a wide range of real estate services from residential, commercial, and resort beach properties to timberland sales in Alabama and Mississippi. At Berkshire Hathaway HomeServices Cooper & Co. Inc., REALTORS®, There's A Quality that sets us Apart and it is evident in everything we do. Real estate is more than just our business, it is our heritage and a strong family tradition. We are proud of our reputation for high caliber service and professional integrity and continuously strive to maintain Jack's legacy of strength, hard work, and commitment to our community.